Glasses with wine mean celebration time! And what better time to crack open a bottle of the finest wine than on a birthday. These printable birthday cards are just right to give to your adult friends in order to ask them over for a glass of the best to celebrate the best or to give to someone along with a fine bottle! These fun free printable cards are especially great between girlfriends as part of a ladies' night out. 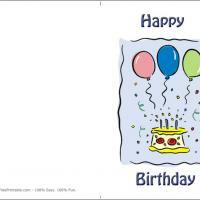 Use this free customizable card to announce when and where the birthday celebration will begin. Share a toast to good friends and good times. Want to let that special friend know they are as fine as a good wine? Send them a free printable birthday card Glasses and Wine. They will thoroughly appreciate the image of a corked wine bottle beside a full glass of wine. Here's a raised-glass toast to a good friend and a good life of many more birthdays. The balloons drifting above as if on the winds of good wishes spell out Happy Birthday. When the birthday guest opens your card they will smile when they see you custom printed a message inside just for them. Print one today it's free. What pairs well with a red wine? 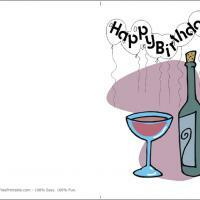 Any birthday message you send with this free printable card Glasses with Wine. The bottle has been opened. The glass has been filled. Lift up the glass and nod a birthday wish for a long and happy life. The floating balloons say it the best: Happy Birthday. Want to say more? 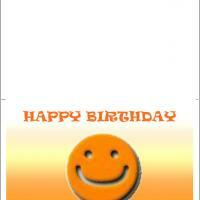 Then use our free custom print feature with each card. 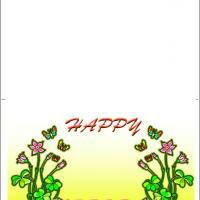 You can easily add more images and personal notes right before printing the card at home today. No need to rush a good thing. 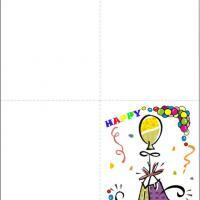 Just browse around these free printable birthday cards and you will find as many as you need.